RDECOM CB supervisory engineer Kevin Wallace, ECBC liaison to the Army ManTech Office. 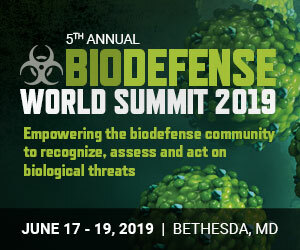 The U.S. Army Research, Development & Engineering Command Edgewood Chemical Biological Center (RDECOM ECBC) is the Army’s principal research and development center for chemical and biological defense technology, engineering and field operations. The Center has achieved major technological advances for the warfighter and for our national defense, with a long and distinguished history of providing the armed forces with quality systems and outstanding customer service. RDECOM ECBC is located at the Edgewood Area of Aberdeen Proving Ground, Maryland.